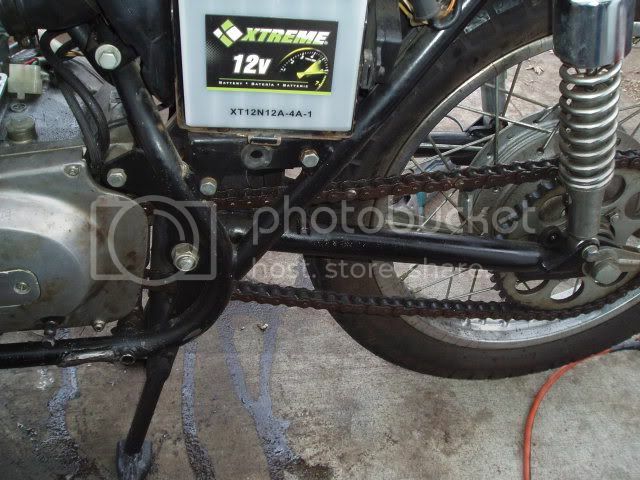 Bike is coming along well, should be fun when its done. Well I sold the set of rearsets I was trying unsuccessfully to use to a fellow member here and ordered up a set of universal ones from Thailand so when they show up in probably 3 weeks I'll get them mounted. I'm hoping to get the cut up tank welded onto the seat base I made this weekend so I can start bondoing the dents and getting it ready for paint. The rearsets finally arrived from Thailand so I started cutting and grinding to to make room for them and of course drop a few pounds. 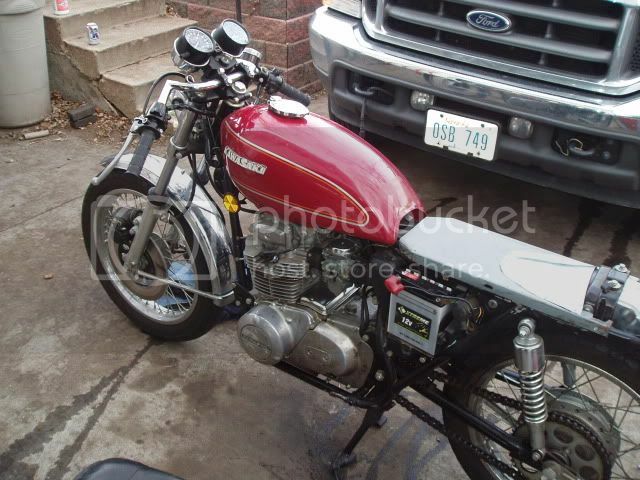 I've also got a sweet 1/4 fairing on it's way thanks to another fine member here on the forum. It's scheduled to get here wednesday which just happens to be our weekly bike night. Hopefully I can get that mounted and get pics then I'll go back to work on the rearsets. Just need to weld on some mounting tabs and get the linkages sorted out. Hmm, it seems the clubman bars aren't going to work with the new fairing. It hits the master cylinder on the brake handle long before it's lined up with the bucket so it looks like I'll be picking up a pair of drag bars. Anyone interested in a set of very slightly used clubmans? Looking Good Noah. 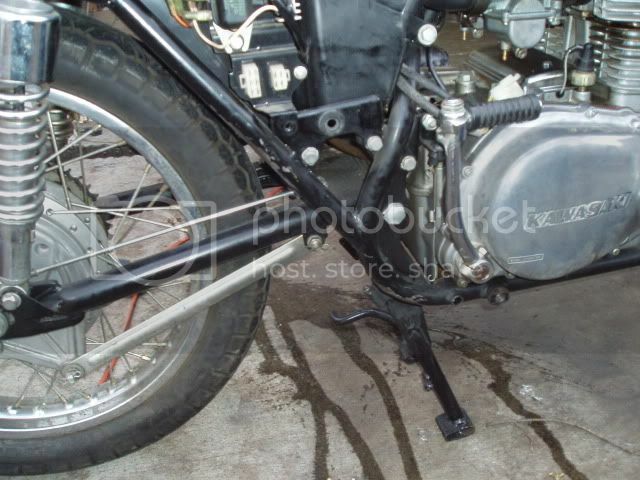 I agree with Pj on that you might want to get the seat (and tank) taken care of before positioning the rearsets. They will dictate where the rear sets need to go for sure. And I'd like to say that thing is amazing clean too. My guess would be 2k might be right. Good point, I'll probably wait on positioning the reasets till after I get the new bars and the seat done so I know how high I'll be sitting. I suddenly went from twiddling my thumbs waiting on parts to work on to so many things to work on it's dizzying. Got the new dragbars installed last night. They will work perfectly and still give me a similair stance as the clubman bars did which is good. The fairing will now fit once I trim it a bit to fit around the tach and speedo. 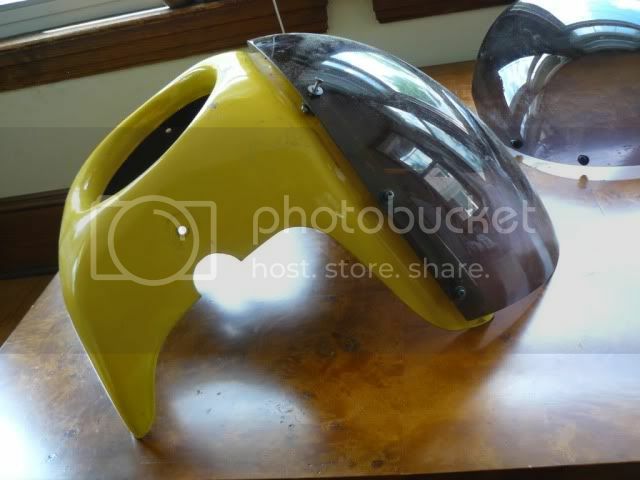 Here's the fairing I picked up from another member here on DTT. Once I get it trimmed I need to make some mounting brackets and figure out what to do about turn signals. I'm torn between having them stick out from the side and mounting some flush mount signals onto the fairing itself. I'm pretty sure I'll have to get some bar end mirrors which is fine since that was the plan anyway. I don't think any stock mount mirrors would clear the fairing. I really wish there were such a thing as bar end mirrors with built in turn signals but so far I can't find any. Any suggestions on the front signals would be appreciated. I've got a set of small bullet signals for the rear but they clearly won't work for the front. Oh ya, still have those clubmans? If so, how much shipped to 15009? I'm afraid I sold the clubmans to troybilt who ironically had the fairing originally but sold it to kanticoy who wound up not using it and selling it to me. I'm thinking of using a pair of flush mount signals mounted through the existing holes to also hold the mounting bracket on. The trick is finding the right size and mounting style. That makes a lot of sense, bar end mirrors with signals......I bet yo could get some Led's that could mount pretty small on the backs of some mirrors and look good. .... I like that idea, a good looking set would probaly sell on ebay too.